In many different ways: the new job at Sony is very exciting and things are moving fast and in a very good way – the first contracts are in the making and the set-up for the first new releases on Okeh is in progress. Lots to do, but it is fun and rewarding and with a bunch of great people. 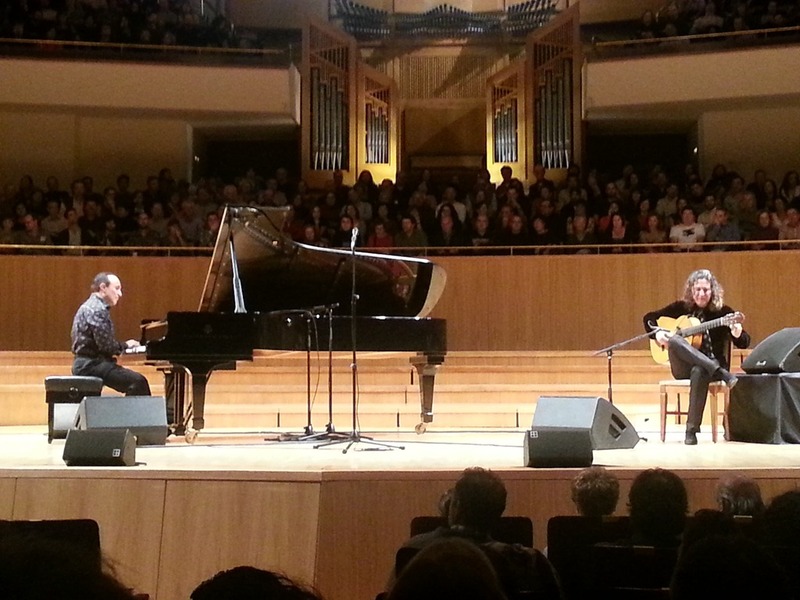 And good times because many concerts are happening: November 4th saw the duo of Michel Camilo and Tomatito returning to the Auditorio Nacional in Madrid with a new program: Spain Forever, following the first two records of the duo, Spain and then Spain Again. The concert included new repertoire like Charlie Haden’s Our Spanish Love Song, which he had recorded with Pat Metheny on the Missouri Sky album. Astor Piazzolla’s Oblivion and Erik Satie’s Gnossiene #1, as well as a new composition by Tomatito. The duo as always made a great show, even so the guitarist held back often, not being yet to confident with the new material – Nevertheless, a great night with beautiful and powerful music. Four days later it was Silvia Perez Cruz again – this time in the Teatro Circo Price – a bigger hall, a more elaborate production and a concert that easily counts as one of the best this year. Her string ensemble was occasionally supported by a bit of percussion, but in general worked amazingly well and created an atmosphere of beauty and emotions. She was performing the repertoire of her disc 11 Noviembre and a few other songs, like an amazing version of Currucucu Paloma. Highlight beside the incredible performance on Iglesias, was the finale of the concert when she was bringing 11 percussionists on stage and they performed together O Meu Amor E Gloria. A fitting end to a concert of a major talent. She has everything to be a star! 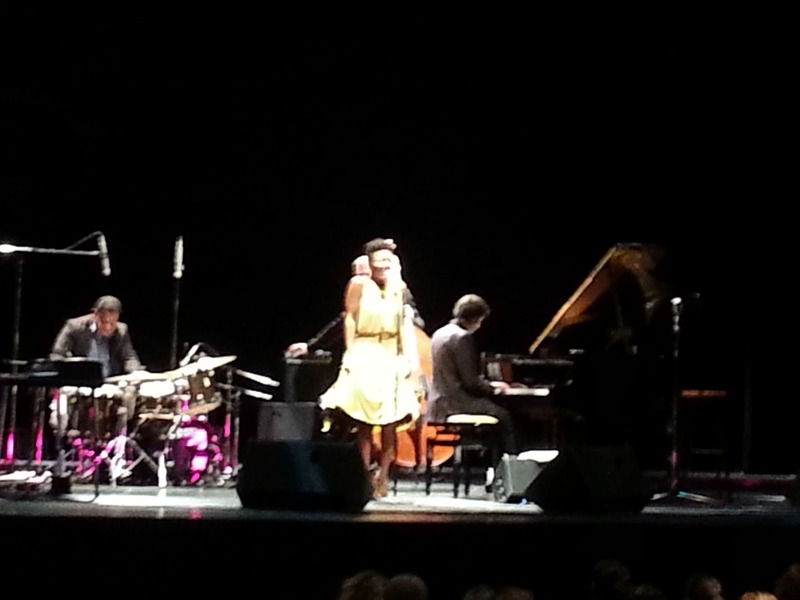 China Moses brought her band and new album Crazy Blues to Alcobendas in the north of Madrid. China is an amazing performer and a great singer and her tight working band is a great support for her. The story telling in-between songs explains the history of the song, but can sometimes be a bit too much – distracting from her great vocal performances. Especially in You’re Crying and Crazy Blues she got her audience going and of course with the Janis Joplin encore Move Over. A lot of happy customers there …. 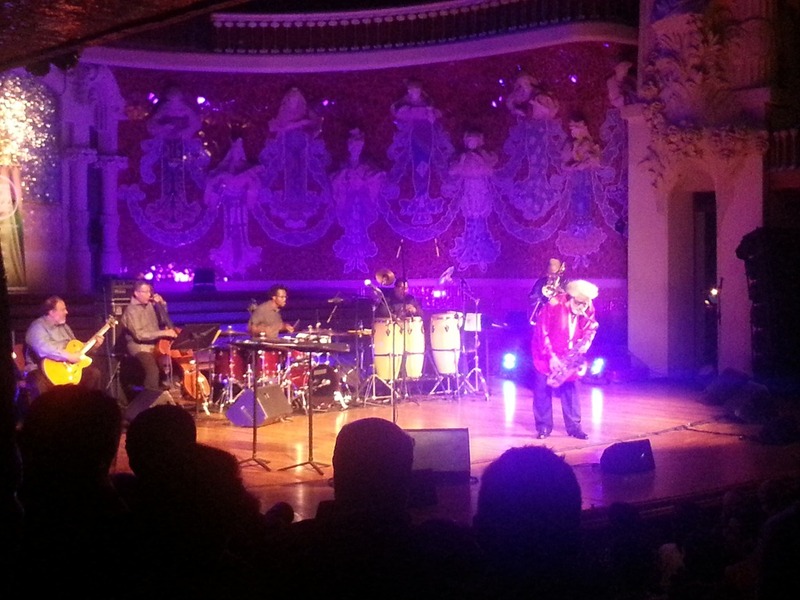 Then to Barcelona to see Sonny Rollins perform at the Palau de Musica – Sonny and his band … always an event. At 82 he still goes out and plays for at least 2 hours – the band sometimes just holding the groove and he takes off .. somewhere. Mainly playing his own tunes, that night he added a new version of the old Italian folk song Serenade and a beautiful ballad by J.J. Johnson, he blew as usual – with lots of references to other compositions popping up and then disappearing in his stream of ideas and musical motives. Leading to a 10 minute unaccompanied solo of the highest quality and a finale that brought the audience on their feet. This was the last show for the year for him – and all have been recorded for a new release in 2013 – Road Shows, Vol. 3 – the 2012 Concerts. Already looking forward to it. And last, but not least, the incredible Christian Scott. 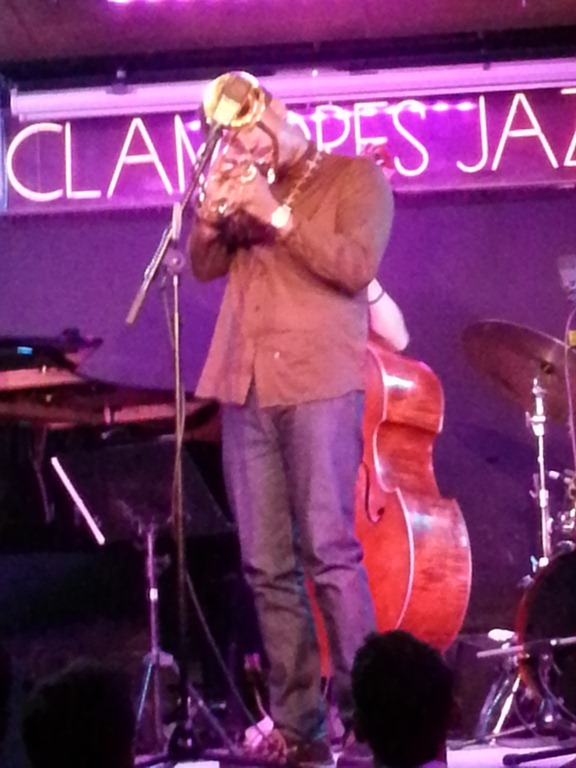 Probably the leading trumpeter of his generation and with his new band, in which he is with his 29 years of age the senior, he played two sold out nights at the Clamores Club in Madrid. He just has released his new double CD Christian Atunde Adjuah and most of the songs performed on these two nights came from the album, a few exceptions … Eraser was one on the second night and a track by Donald Harrison. Plus a killer version of Blue Monk as the encore – this guy is so full of music at this age, plays with power and enthusiasm and feeling … and so do the rest of the group. Just one of these gigs, when one can’t stop smiling because of what is happening on stage. If you can’t see him, get the record – it is fabulous. He will be one of the greats in jazz. No doubt. With all these artists around, the young guys in Christian’s band playing with such control and power at the same time, there is nothing to be worried about the future of the music we call Jazz. Good times indeed.